The Still Water Mindfulness Practice Center’s mission is to nurture all who wish to practice mindfulness. We are part of a world-wide network of communities inspired by the teachings and practices of Thich Nhat Hanh, a widely-known Vietnamese Buddhist monk, author, and activist. We are also incorporated as a religious non-profit corporation in the state of Maryland. Still Water began in 1999 when a small group of people began meeting regularly to meditate and to cultivate the mindfulness-in-daily-life practices taught by Thich Nhat Hanh. For four years, they met in Takoma Park, in the attic of Crossings, A Center for the Healing Traditions. In 2003 the group moved with Crossings to downtown Silver Spring. In 2005 Mitchell Ratner became Still Water’s full-time Senior Teacher, a position he still holds. Members of the Still Water community come together to sit quietly in meditation, to learn mindfulness practices such as sitting meditation, walking meditation, and eating meditation, and to support one other in our lives’ journeys. A typical Sangha meeting lasts one to two hours and includes sitting meditation, walking meditation, and a Dharma sharing focused on mindfulness in everyday life. The larger groups offer an orientation to mindfulness and the Still Water community once each month. Newcomers and experienced practitioners are always welcome. Practice groups based on shared interests have also formed over time. At present, Still Water has a Mindful Families group, and a group of volunteers that support Shepherd’s Table, a non-profit organization in Silver Spring that provides assistance to people who are homeless or in need. We regularly offer classes, workshops, days of practice, retreats, and other special events. The best way to stay informed about our activities is to subscribe to our email newsletter, which provides information about each Thursday’s program at Crossings in Silver Spring, as well as other events in our community and in the area. 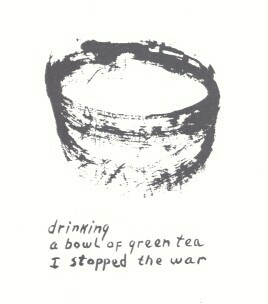 When we drink tea with mindfulness, we resist the busyness, materialism, and alienation of our modern world. We practice mindfulness for ourselves, to become calmer, more alive, more genuine. And we practice mindfulness for the world – to create a world in which there is greater understanding and compassion, a world in which our essential oneness is embodied in thought and action. Mindfulness: To be fully present and awake in our own lives and to be aware of the inextricable connectedness of life. Compassion: To have the intention and capacity to relieve and transform suffering. Community: To live and grow being supported by and supporting others. To nourish the seeds of mindfulness, compassion, and community in individuals, families, and the larger society. Just as a home is enriched when there is a room or place set aside for meditation, breathing and calming, so too a community is enriched when there is a center where people can come to learn and practice the art of mindful living. 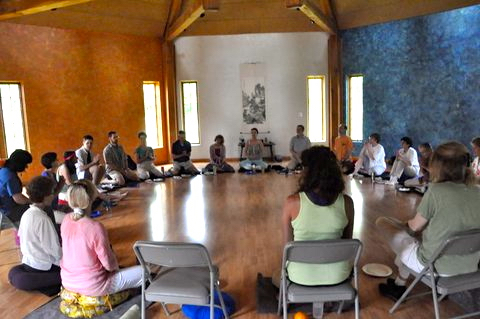 As a nurturing and supportive practice community in the tradition of Thich Nhat Hanh, the Still Water Mindfulness Practice Center offers programs of sitting and walking meditation, classes in the traditions and practices of mindfulness, retreats, service projects, and social and family events. The community joins with other faith communities in promoting understanding and compassion in our daily interactions and in the interactions of communities and nations. Supporting practice: encouraging and nourishing the daily practice of mindfulness, compassion, and community through events and actions such as on-going meditation and discussion groups, community gatherings, classes and workshops, retreats, website and email announcements, online communities, and personal interactions and spiritual friendships. Creating community: cultivating a welcoming and diverse community in which members can embody their understanding and love for each other, share deeply, maintain nurturing spiritual friendships, support each other through difficulties, and celebrate accomplishments and milestones. Building an effective and resilient organization: developing an appropriate organizational structure and culture that allows the Still Water MPC mindfully to set goals and objectives in support of our core purpose, make timely decisions, implement meaningful programs, foster commitment and participation, and meet the community’s financial obligations. Contributing to understanding, peace, and justice in the world: encouraging community members to live mindfully in the world, aware of the consequences of their actions; and as a community supporting events, programs, and institutions that bring, love, healing, and joy to our neighborhoods, regions, and planet. As a community of practice in the Plum Village tradition, the Still Water Mindfulness Practice Center aspires to be an inclusive community that embodies three core values: mindfulness, compassion, and community. Mindfulness is the awareness and transformation of not only our own suffering, but of the suffering around us. Therefore, we will look deeply into our society and will speak out against injustice and oppression. We will offer beneficial services and spiritual support to those who are at risk or who have been harmed. We will strive to change such situations by joining others in nonviolent movements and direct actions that genuinely have as their aim justice, reconciliation, peace, and love. In pursuing engaged practice, Still Water Mindfulness Practice Center will not support political parties or causes or take sides in political disputes. We welcome into our community all people who support the three values at the core of our community regardless of their personal characteristics, such as race, gender, sexual orientation, or political beliefs. We encourage loving speech and compassionate listening at all our gatherings as we endeavor to embody Thich Nhat Hanh’s teaching that no one is our enemy, even in the midst of partisan conflicts. We will endeavor to understand deeply the views and suffering of those with whom we disagree just as we endeavor to understand our own views and suffering. We know that there is no way to peace, and that as a community we must show that peace is the way.